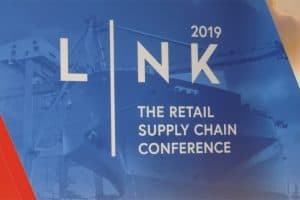 Because of the importance of supply chain to omni-channeling retailing, I decided to attend the Retail Industry Leaders Association (RILA) LINK2019 retail supply chain conference for the first time. Held in Orlando February 25–27, the event would allow me to compare the perspective of supply chain professionals to that of loss prevention professionals. While omni-channel was indeed a significant point of discussion throughout the conference, loss prevention and risk management issues were hardly mentioned. Maybe I shouldn’t have been surprised, but I was. Historically, supply chain operations have focused on logistics—moving merchandise from point of manufacture on another continent to our shores by container ship, from the West Coast to East by truck or rail, or from DC to stores. As one presenter described it, “Our task is moving boxes.” Thus, the large expo hall was by far filled with transportation and logistics exhibitors, primarily companies representing ports of entry, trucking, and distribution center facilities management. There were only a handful of booths addressing either data analytics or software applications that included asset protection or risk management. One of those was Profitect, a well-known analytics provider in the loss prevention space that also supports supply chain. Along with big names like DHS and FedEx, one of the distribution and trucking vendors that was a premier sponsor of the conference was National Retail Systems (NRS), represented by their Senior Vice President John Tabor, who is active in both RILA’s supply chain and asset protection conferences. Perhaps because Tabor comes from a security background, he told me that loss prevention and logistics security is one of the differentiators NRS enjoys in discussions with retailers. What did the absence of loss prevention and risk management topics at this conference mean to me? It says loss prevention and asset protection organizations must partner with their supply chain peers to ensure that security and risk are managed in the complicated logistics challenges presented by omni-channel retailing. “Moving boxes” in retail today is significantly more complex in this buy online, pick up in store; return by mail or in person; and ship from store environment. While LP has been analyzing data for a long time, it appears that supply chain may be behind the curve somewhat. Perhaps LP can help their supply chain peers move the needle on analytics. Your supply chain and logistics peers have their hands full literally trying to deliver (pun intended) an excellent customer experience demanded by today’s omni-channel consumer. It’s the asset protection organizations’ responsibility to ensure that these complex delivery and returns programs meet not only the customer service objectives, but also the loss prevention, risk, and inventory management goals that minimize shrink and maximize profits.